~ Thank and link back to the person that awarded you this award. ~ Share 7 things about yourself. 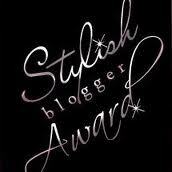 ~ Award 15 discovered great bloggers. ~ Contact these bloggers and tell them about the award. 7 Things AbOut Me !!! 2. I love PINK ! 3. I love the Victorian England era & any movie or book about it is my love. 4. The living thing i hate most in this world is a lizard & specially when its in the room i am not able to sleep all night….Ewwww…. Oh Areej Its such a great honour for me Dear… Really You owe me… Thank you so much dear… God Bless you..
<3 This is so sweet of you 🙂 I will make sure to write one asap. I really appreciate. Aww.. thank you so much Areej *hug* 🙂 You deserve these awards. Keep up the good work!